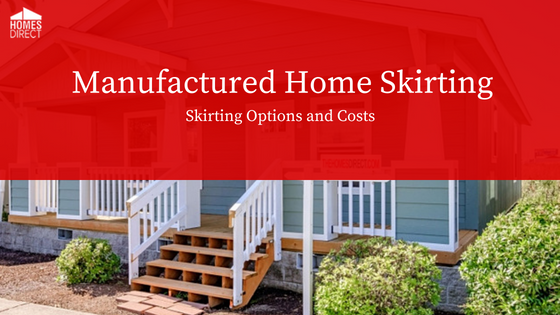 Home buyers often overlook the great value offered by a manufactured home that can be customized to fit their lifestyle. Buyers can choose from hundreds of designs, but they can also create their own manufactured home design by customizing any of our floor plans. Our goal is to provide you with a home that will enable you to feel that you have personalized your home rather than buying a stock model that may not provide the comfort and convenience you would like to have. We recognize that our customers have a unique set of requirements for a new home. Our manufactured home designs allow you to incorporate these requirements into the design of the floor plan and the interior decor. You can select your favorite features from the models you like. Homes Direct doesn't believe that any one model can meet all of your needs and wishes. This is why Homes Direct offers many customization options. 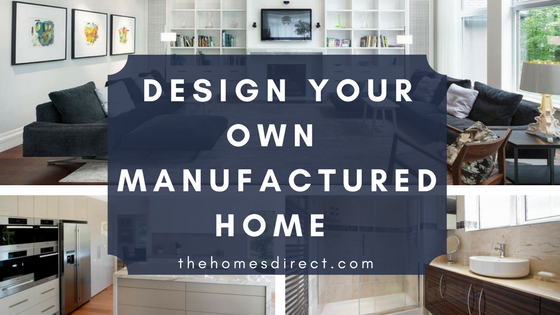 Our manufacturers are capable of making the home design you want rather than just producing standard models that offer you no options and no opportunity to make the home the one you really want. Our professional designers will help achieve your requirements by working with you to create the floor plan you want. A custom built manufactured home begins with your ideas about how you want your home to be built. The Homes Direct website has 481 manufactured home models, and you can see the floor plan for each by clicking on the picture of the home. The floor plan page will give you information about the square footage of the home as well as the overall dimensions of the home. Homes Direct also has over 100 models set up on its 12 locations. You can see how these floor plans come together and how you might want to make changes. The design you select must be reviewed with the local government’s zoning office since there may be criteria applicable to the kind of home design that can be set on the lot you have chosen. 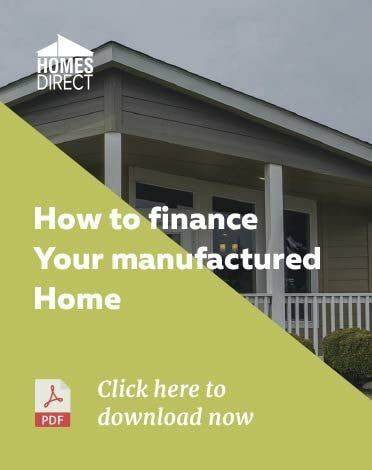 If you plan to set your home in a manufactured home park, then you will need to review your selection with the park management before finalizing the purchase. There are two design aspects to our homes. One is the exterior design, and the other aspect is the interior design. We have a home design that will be appropriate for every location in our market area. Our vast selection includes homes that are designed with architectural themes that blend in with the architecture that is prominent in our market areas. Our array of available exterior colors will enable buyers to select a color for the exterior that will meet their style expectations while enhancing the design of the homes. Our experts will help identify colors that will be appropriate for the exterior design of the home. They will also help select color combinations when buyers want more than one color. Our experts have seen just about every color and color combination available. You can choose from our amazing number of exterior options to create your own design. We can give you the exterior look you want beginning with lap siding and other distinctive siding choices, and different size dormers including tower dormers. Our dormers provide a distinctive style feature that will set your home apart from other homes nearby. Roof lines can be enhanced with hip roofs and taller roof pitches. There are almost endless options for porch designs. Our porch designs can be configured to allow for sitting or to be just a nice design feature. You can also choose to accent the doorway area with a different color and different material. Windows and window placements are among the exterior modifications we can make. These modifications can also be an enhancement for the home’s interior. The entire exterior of your home can be modified to fit your floor plan and to create the exterior design you want. Some buyers would like to have a second story, and we can manufacture a home with this feature. Some of our models have a modern, sleek design which incorporates the straight line concept with windows placed to provide plenty of light while enhancing the modern design of the home. Other models have a more traditional look, and some have front porches with decorative posts. Some of our models have elevated front porches to match the height of the home from the ground. We have models that are designed to fit the width of the lot. The width of these models ranges up to 70 feet. Other models are designed to be set into the depth of the lot, and they also range up to 70 feet in length. One prominent characteristic of many of our models are the elevations some of which include more design features to give the homes a prominent style instead of a plain appearance. Or, we have homes without any external appearance enhancements. Our floor plans provide a lot of information about our interior designs. You can click on the picture of a model home and the floor plan will be displayed. A number of floor plans are displayed on our website where the model pictures end. Many buyers find that selecting the living area first is appropriate. We recognize that you may like a floor plan, but the home’s exterior is not your first choice. We may have a solution for this problem. We work with our manufacturers every day to customize floor plans to meet our buyers' preferences. We can reposition rooms and add room dividers. Kitchens can also be modified. Bedrooms can be relocated. We can adapt many floorplans to fit the exterior design you prefer. Our interior designs have many standard features that you would expect to see only in a higher priced custom built home, and we can add many special custom features. We have 531 floor plans. While many floor plans are similar, many are very different. The size of the home you are considering buying will narrow down the interior designs you can choose from, but you may find features in a larger home that you would like to include in your home. We can often add these features. Every model picture provides the home’s square footage and the number of bedrooms and bathrooms. This information will help you decide whether to look at the floor plan. You can also filter your search by choosing the price, square footage, a number of bedrooms and bathrooms. This process will bring up only the homes that fit your criteria, but you can look at any floor plan to get ideas about design features you may want. Our website provides the tools you will find useful in your home search. The kitchen is often the center of a family life. It is a gathering space and it's nice for family and guests to be able to see the food preparers and for the preparers to be able to talk with family members and guests. Our designers can configure a kitchen to suit your preferences. If you like a kitchen in one of our models, then we will adapt it to the model of your choice. We can include large islands and tons of cabinet space as well as pantries. You can have a large farmhouse sink with a modern and beautiful faucet surrounded by granite or Corian countertops. Unique materials and designs are available for backsplashes. A highly desirable feature is the complete array of stainless steel appliances. Cabinet finishes and wall colors are available in many choices. By choosing from among all of our kitchen options, you will create a fabulous custom kitchen. A Homes Direct representative can advise you about the options that are available in any model you are interested in. The bathrooms are an important design feature in any home, and Homes Direct believes that they are very important features in our manufactured homes. You will have an incredible amount of flexibility in choosing the options for your perfect bathroom. We offer tile showers and jetted tubs. Our undermount and overmount sinks offer choices of functionality and style. The sinks can be equipped with the modern faucets and faucet materials such as bronze. Raised tubs are available as are glass enclosed showers. Many bathrooms have rich looking cabinets. Our designers can make any bathroom look fabulous by using textures and colors. You can customize your living area just how you want it. You can divide the space up into separate living and dining areas, or you can just have one large great room. Many buyers opt for a game room or office space, and we can work with you to create a space that will satisfy your preferences. Attractive shelving can be built to hold books and family mementos. Surround Sound is an entertainment feature that can be installed. A gas log fireplace can also be installed for that special cold weather ambiance. An important consideration is how you configure the living room with the kitchen. As mentioned above, many people prefer to have an open kitchen which our living room designs can accommodate. Faux stonework can be built in the living room, and this material provides a beautiful accent for space. We provide the most extensive array of manufactured home options. 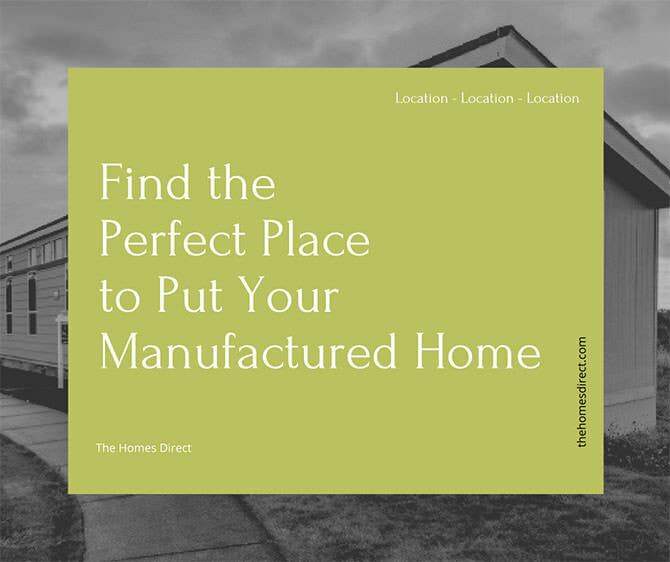 You will find that we can manufacture your ideal home with all of the conveniences you would want. We can also create a home with style and beauty in every exterior and interior feature. We work with factories every day to make our customers design requirements into the homes they want. We are experienced in making your home just as you want it to be and we don't believe you should buy a home that will not meet your needs and that you will not enjoy. Not every design is available in all of our market areas. Be sure to check in at a Homes Direct location near you to find out which models are available.